Residing in the Milton area and looking for ways to buy a luxury car at an affordable price? Our inventory at Budds’ BMW Oakville is rich with choice, or you can look at the tips we have included below. Owning a luxury car can be a rewarding, and one of the most exhilarating experiences. Some people collect luxury cars, while others save up for a large majority of their lives and search for their dream luxury car. In any case, owning a luxury car is a symbol of success and displays your true love of cars. Some people who have wanted a luxury car will never be able to afford it because of how expensive they can be. If this sounds like you, don’t fret, we may have a way that you can purchase an affordable luxury car at a reasonable price. You can read the following tips that we at Budds’ BMW Oakville have provided for you. Decide on the make and the model. Deciding on a make and model of luxury car is your first step. You should research thoroughly about the prefered model and you can also seek out advice via forums or through people who have the same car as the one you want. Getting knowledge of the car you want from someone who has the same one can benefit you because they can tell you about the pros and cons of the vehicle as well as the driving performance and other aspects. 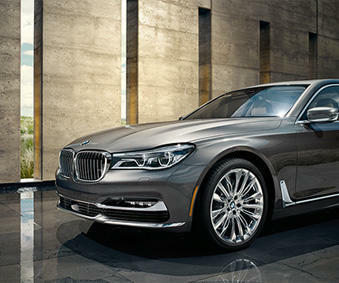 If you are residing in the Milton area and you would like to test drive a luxury car, you can come into Budds’ BMW Oakville, or you could simply explore Budds’ BMW list of luxury cars online. Once you have decided on the right make and model that suits your desires, you should decide if you want to buy the car brand new or in used condition. New cars will include more advantages with quality and other aspects, but used cars will be more affordable for someone on a budget. More times then not, a used vehicle can provide more value then a new vehicle. You can take a look at our new and used luxury car list. If you are hoping to purchase a brand new vehicle, knowing the history of the vehicle will not be important to you and is not necessary. This is opposite if you are wanting to purchase a used vehicle. For a used vehicle purchase, you will want to do extensive research on the seller and the history of the vehicle. You will want to acquire the car’s vehicle identification number (VIN), reports from independent services and other documents that will be informative to you on the history of your purchase. Once you have this completed, you can then schedule a meeting to have the car looked over by a professional mechanic to determine its condition. Lastly, you can compare the price of the used car with its current market value, and decide how much you want to spend on it. Negotiating a reasonable price to purchase your luxury car is very important for you. You can target things from the vehicle’s history to the condition and determine a fair price to start at. Then, you can set the amount that you are not willing to go above and go back and forth with the seller until you reach a fair deal. Never agree to purchase the vehicle for more then you have set you budget for, be firm and confident in your negotiating. Once you have agreed upon the price of purchase you can arrange for it to be delivered. Hopefully these tips will be able to help you with your quest to acquire your dream luxury car. Budds’ BMW Oakville can help you get behind the wheel of an exceptional driving machine!